The huge Diablo 3: Reaper of Souls DLC for PC and Mac will be released very soon - in April, which means it's time to remind you about it, having told some new information. - various behind the scenes materials on DVD and Blu-ray. 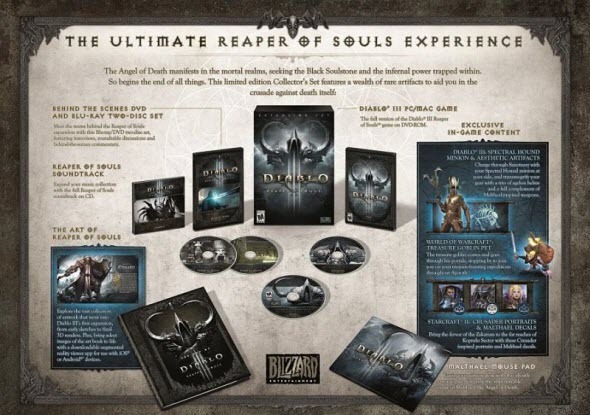 If you are interested in all of the abovementioned things, then you can buy Diablo 3: Reaper of Souls Collector's Edition for $79.99. But be attentive, because it isn’t presented in all online retailers, so you should check in advance where you can buy this edition for sure.